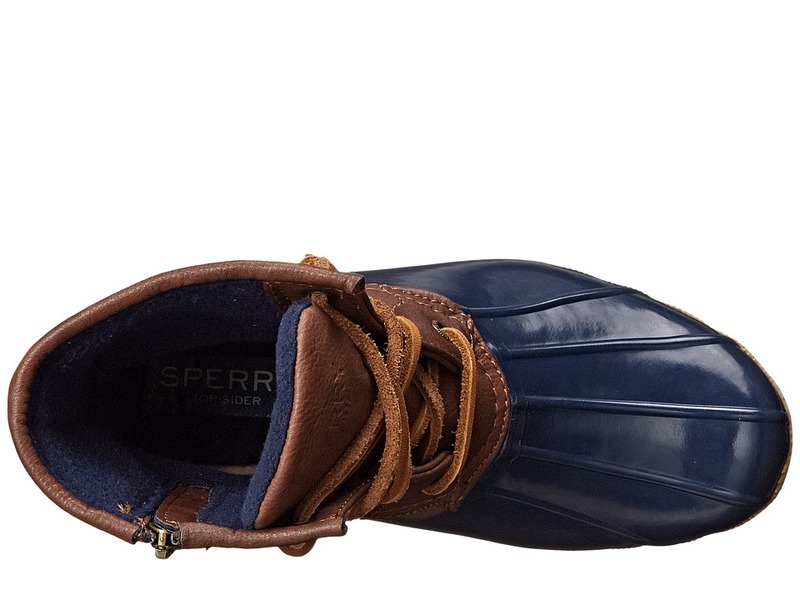 Combat cold, wet weather with the waterproof Saltwater boot from Sperry Top-Sider Kids! 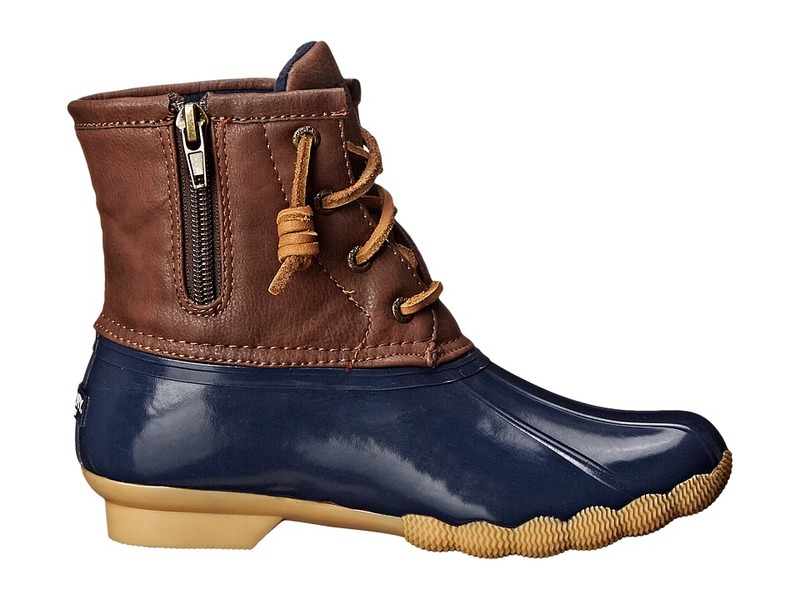 ; Duck-inspired waterproof boot. 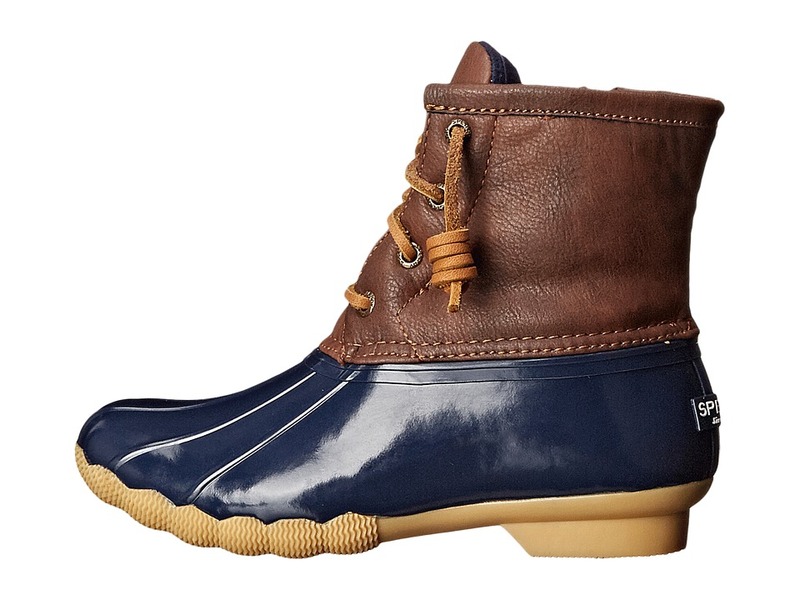 ; Manmade and textile upper with a waterproof rubber foot. 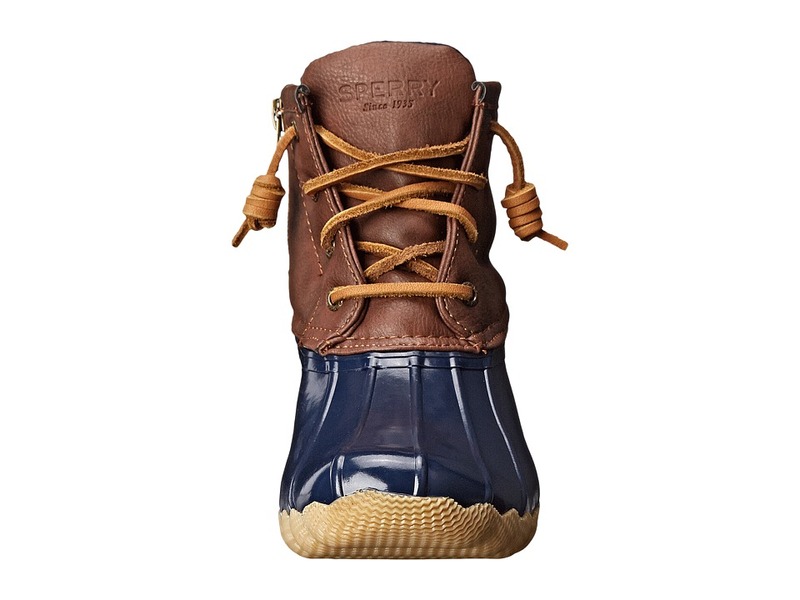 ; Rawhide lacing with rust proof eyelets for secure fit. ; Side zipper for easy on and off. 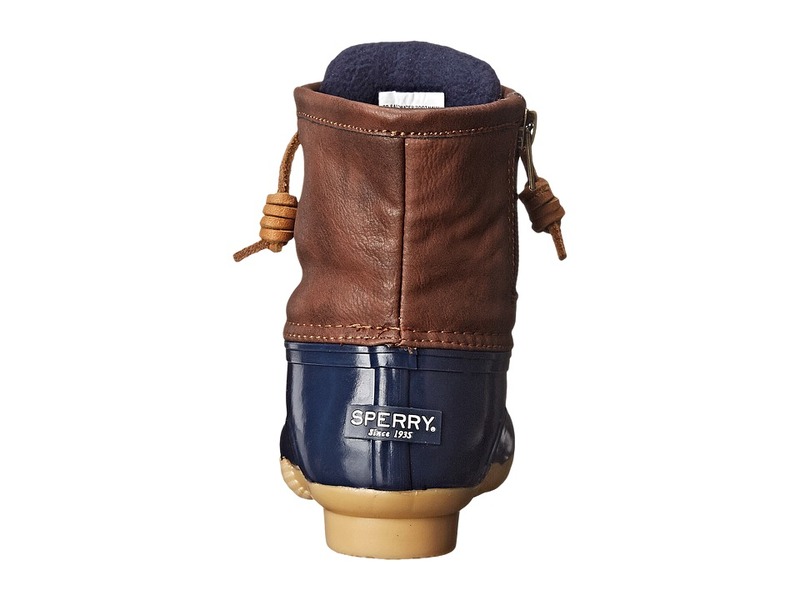 ; Micro-fleece lining and cushioned insole for warmth and comfort. 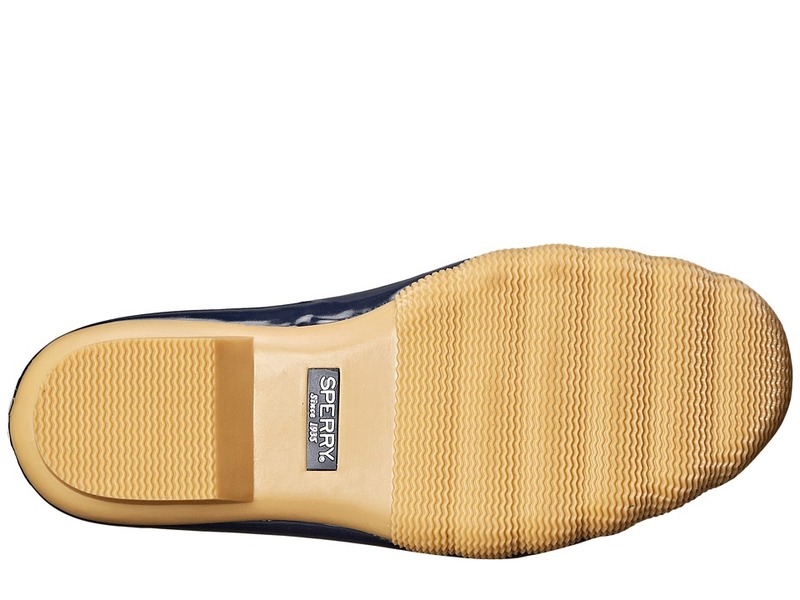 ; Nonmarking rubber outsole with Wave-Siping for ultimate wet/dry traction. ; Imported. Measurements: ; Heel Height: 3 4 in ; Weight: 14 oz ; Shaft: 5 1 2 in ; Platform Height: 1 2 in ; Product measurements were taken using size 4 Big Kid, width M. Please note that measurements may vary by size. ; Weight of footwear is based on a single item, not a pair. 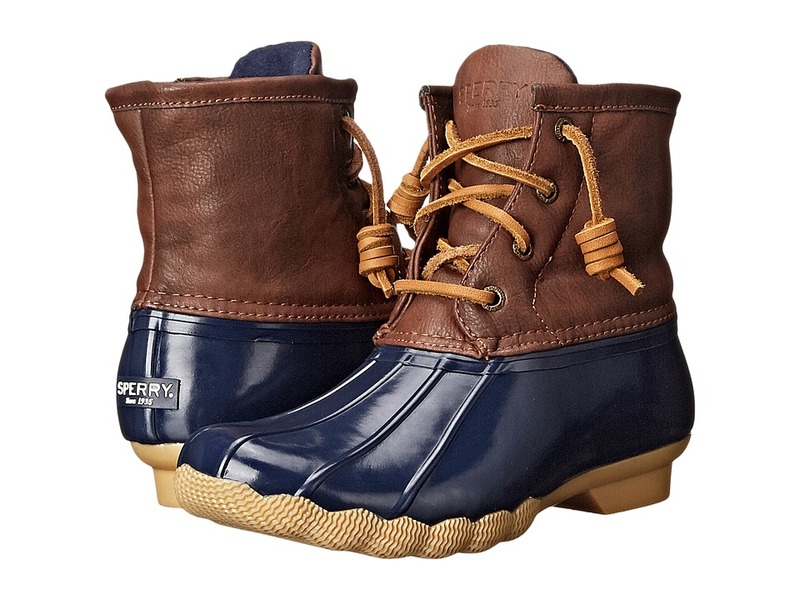 Be the first to review “Sperry Kids Saltwater Boot Kids Shoes” Click here to cancel reply.